Armie Hammer, Nyle DiMarco & Cheyenne Jackson Hit the Red Carpet at TrevorLIVE LA 2017! 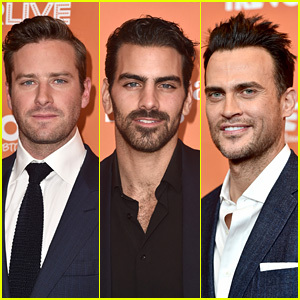 Armie Hammer, Nyle DiMarco and Cheyenne Jackson all look handsome on the red carpet! The stars were all in attendance at The Trevor Project’s 2017 TrevorLIVE LA event at The Beverly Hilton Hotel on Sunday (December 3) in Beverly Hills, Calif.
During the event, Armie posed for photos with Fergie and honoree of the evening Tom Ford, who was presented with the Hero Award during the ceremony. Cheyenne held hands on the red carpet with his husband, Jason Landau, while Armie posed with his wife Elizabeth Chambers. 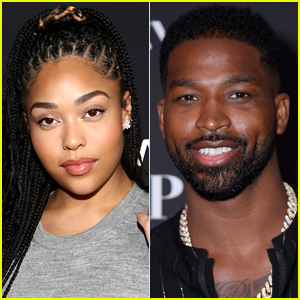 'American Horror Story: Cult' Cast Attends Cher's Vegas Show! The cast of American Horror Story: Cult enjoyed a weekend off from work in Vegas! 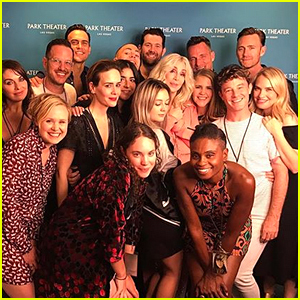 The cast – including Colton Haynes, Billie Lourd, Sarah Paulson, Billy Eichner, Adina Porter, Alison Pill, Leslie Grossman, and Cheyenne Jackson – headed out to Vegas on Saturday (August 19) to attend Cher‘s show at the Monte Carlo Resort and Casino’s Park Theater. Joining the AHS castmates at the show included Colton‘s fiance Jeff Leatham, Cheyenne‘s husband Jason Landau, and Cher‘s son Chaz Bono. After the show, the cast went VIP to meet Cher herself before partying it up in Sin City until morning. American Horror Story: Cult premieres on September 5 on FX. See some of the cast’s Instagram posts from last night in the gallery below! Kim Kardashian stuns in a white gown and lip ring as she speaks on stage during the Family Equality Council’s Impact Awards at the Beverly Wilshire Hotel on Saturday night (March 11) in Beverly Hills, Calif. The 36-year-old tv personality attended the awards event to presented the award to TV producers Jonathan Murray and Harvey Reese for their outstanding support for LGBTQ families. Other stars spotted arriving at the event were Sarah Paulson, Ross Matthews, Julie Bowen, Cheyenne Jackson and husband Jason Landau, Becca Tobin and husband Zach Martin, and Alexandra Billings. FYI: Kim is wearing a Rick Owens dress. Cheyenne Jackson, Kelly Osbourne & Kathryn Hahn Hit The Stage At Trevor Project's TrevorLIVE 2016! Cheyenne Jackson got all suited up to support an amazing cause! 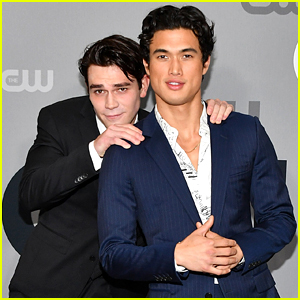 The 41-year-old American Horror Story star and his husband Jason Landau hit up the Trevor Project’s 2016 TrevorLIVE LA event held at The Beverly Hilton Hotel on Sunday (December 4) in Beverly Hills, Calif.
Also supporting the cause was honoree Kelly Osbourne, presenter Kathryn Hahn, Lana Parrilla, Colin O’Donoghue, Dermot Mulroney, Ingrid Nilsen, Jack Falahee, Jamie Lynn Singler, Jay Duplass, Lance Bass and his hubby Michael Turchin, Lisa Vanderpump, Martha Plimpton, Pauley Perrette, Robert Sepulveda Jr., Trevor Jackson and Brian Justin Crum. Charlize Theron stuns on the red carpet as she arrives at amfAR’s Inspiration Gala on Thursday night (October 27) at the Milk Studios in Hollywood, Calif. 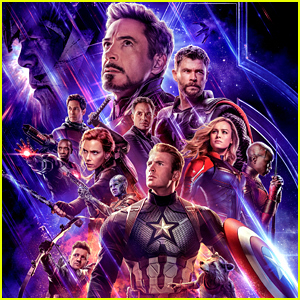 The 41-year-old actress was joined at the event by Jon Hamm, Heidi Klum, Dita Von Teese, Paris Hilton, Courtney Love, Chelsea Handler, Cheyenne Jackson and husband Jason Landau, Estelle, Teddy Sears and wife Melissa, and Kelsey Grammer and wife Kayte Walsh. Charlize was honored at the event for her contributions to the fight against AIDS. FYI: Charlize is wearing a Dior dress and Harry Winston jewelry. Dita is wearing a Ulyana Sergeenko dress. Courtney is carrying an Edie Parker bag. Heidi is wearing a Wolk Morais dress and Gianvito Rossi shoes. Jon is wearing a Brunello Cucinelli suit. Also pictured inside: Jon stepping out to run errands earlier that day.